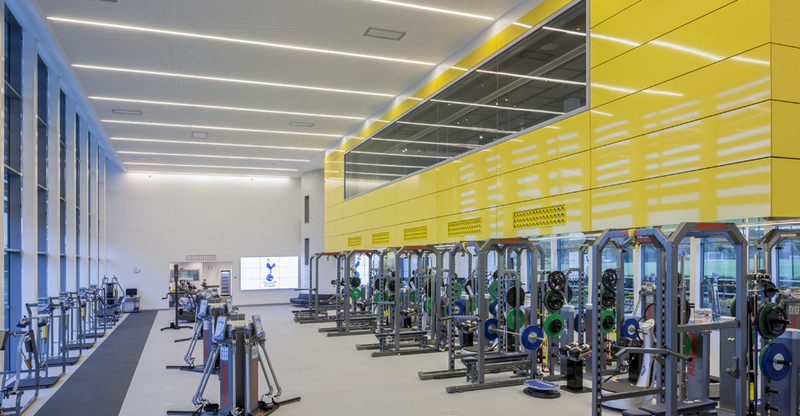 Spurs’ training centre on the 77 acre Bulls Cross site provides the highest quality playing, training and medical facilities for its first team squad and youth academy. We worked closely with the football and coaching staff to fine tune the proposals, and the result is an elegant modern building which sits quietly and comfortably in its landscaped surroundings. The main building features an 80 x 50m ETFE covered artificial pitch at its heart, and the internal configuration incorporates subtle enhancements in design which will hopefully inspire a new generation to work harder and make it to the top. 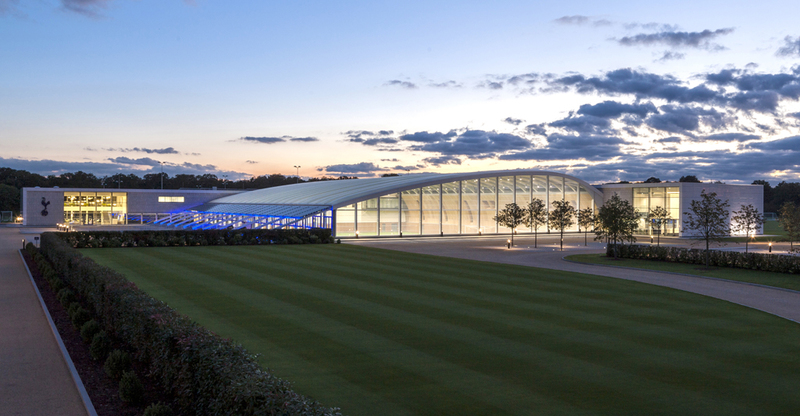 View a timelapse video of the training ground’s construction below.